Green Cove Springs, Fla. April 14 – The Neighborhood Walks continue in Clay County. 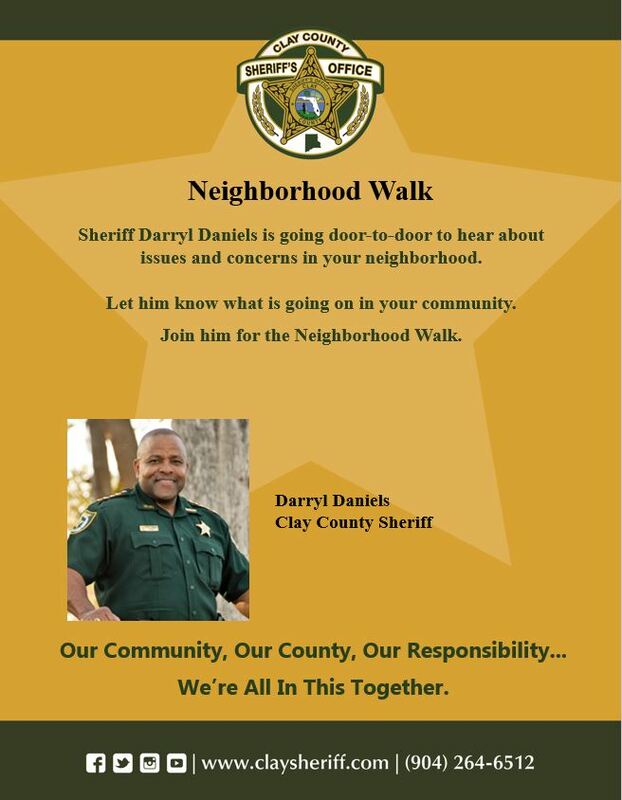 Residents are invited to join Sheriff Darryl Daniels, deputies and staff as they walk through the Cedar Bend Apartments on Monday, April 17. The walk will begin at 4 p.m. at the intersection of Lombard Street and Crabapple Court. 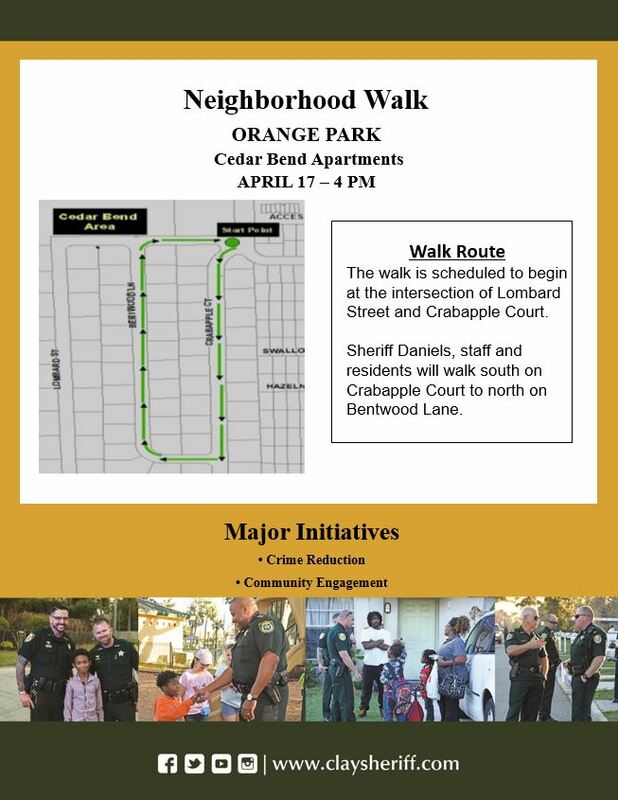 Sheriff Daniels will go door-to-door to talk with residents about issues and concerns such as drug activity, thefts and reckless driving in the Orange Park neighborhood. This will be the fourth Neighborhood Walk, which is part of the sheriff’s main initiatives to reduce crime and engage the community.